“Knowledge is Power.” This is something we at MSU believe in wholeheartedly. As part of our online support programs, such as our Facebook groups, Video Support Sessions, and our MSU Community Network, we share resources that help our members learn more about the rare disease, Myositis. We also write our own articles. While do not provide medical advice, we research topics and write articles in layman’s terms so our members can get a better understanding and further research on their own. Self-advocacy is important and is a part of our focus. We learn so much from the experiences of others. This is why we offer our members the opportunity to share their story publicly on our website and social networks. There are many ways Myositis affects our lives while providing us with opportunities to grow in positive ways. We hope you will share your story in hopes of helping others. We have taken a lot of time to develop materials and ways you can share and promote education and awareness to others. We have created brochures and information cards you can order here through our shop section. Use these to hand out to friends and family members, or if you are hosting an event, use these as educational tools. Each page on our site offers you a way to share it on other social networking sites. Just click the button for the social network you wish to share a page, products, or article and simply follow the prompts to complete. It is really easy! 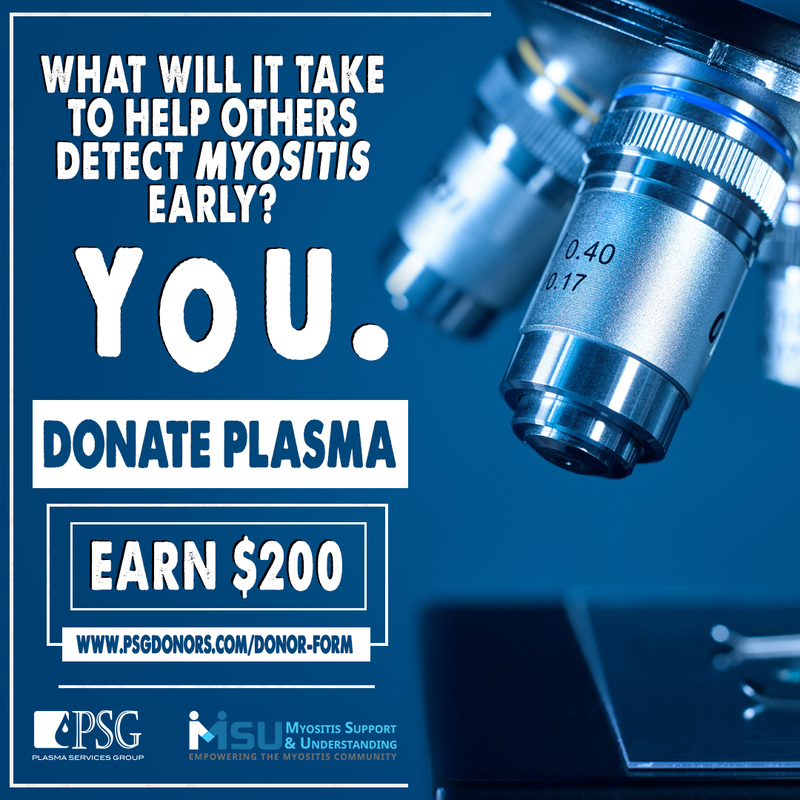 Knowing there are few doctors who specialize in Myositis, we plan to create an educational platform for physicians, and other healthcare providers, to help them learn more about Myositis. This program will be led by a volunteer Board of medical advisors who understand and treat patients living with Myositis. This same concept applies to patients and family members. We plan to create an online platform that will follow a detailed path, written in terms everyone can understand. This is an extension of our “Simply Put” series you can find under the “Explore Myositis” section of our site.